1. 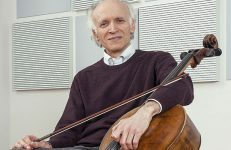 Ovation Press: You have made some wonderful transcriptions for cello and guitar – so far Ovation Press has published eight of them. 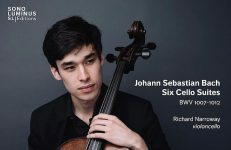 Over the years Ovation and other publishers published many of your cello transcriptions, but it is particularly interesting that you also made guitar transcriptions of complete Bach’s Cello Suites, Violin Sonatas and Partitas plus Flute Partita – all of them published by Chanterelle Verlag (Mel Bay in the U.S.). You must really have a passion for transcribing! When did you start this activity? Valter Dešpalj: I started quite early. I was still a young budding cellist, surrounded by violinists in the family. My father, my elder brother and sister… they all played violin. My ears were overwhelmed with the beautiful violin repertoire, and naturally, I was jealous. I would play on my cello fragments of violin pieces that were not difficult, which amused rest of the family. Soon I started to make transcriptions, the simple ones at the beginning. My first serious attempt in this direction was to transcribe Telemann’s Concerto in E major for violin, viola da gamba and figured bass into a Double Concerto for violin, cello, strings and continuo. That went pretty well – my sister and I played it in public several times and consequently recorded it for Croatian Radio. 2. Ovation Press: What inspired you to begin making transcriptions for cello and guitar? 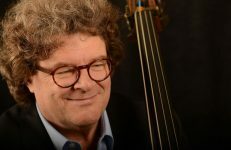 Valter Dešpalj: Although I always had this special affinity towards guitar, direct inspiration actually came from Schubert’s Arpeggione Sonata. I was intrigued how would it sound with guitar. But I also had a concept: I wanted to play cello and guitar recitals in beautiful venues with beautiful acoustics but not very good pianos (or no pianos at all). I was convinced that such presentation would be attractive and innovative, for back in the seventies cello and guitar duo was rarely heard. I teamed up with Darko Petrinjak, an excellent young guitarist from Zagreb who also helped me with transcriptions. Besides the Arpeggione, which was backbone of our program, there were also sonatas by Vivaldi and Boccherini, plus Moses Fantasy by Paganini. It was a wonderful experience to play recitals along the beautiful Croatian Adriatic Coast and the islands. Settings were romantic and the audiences very enthusiastic – one couldn’t ask for more. The highlight of our tour was recital at the Dubrovnik Summer Festival. Soon Darko went to London to study at the Royal Academy for several years, whereas I continued to play my transcriptions all over Europe with different guitarists. 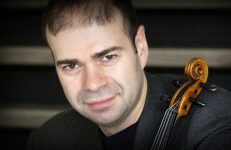 Returning to Zagreb, Darko started to teach at the Zagreb Music Academy. Thanks to him and to his former student István Römer who also became a professor, the guitar scene in Croatia became incredibly vibrant and guitar class at the Academy became recognized as one of the best in Europe. This environment was very inspiring for me. Making the transcriptions for cello and guitar became for me an exciting challenge, something like solving a fascinating crossword puzzle. Having Darko and István around was a great feeling – they gave me many valuable advices which helped my work immensely. 3. 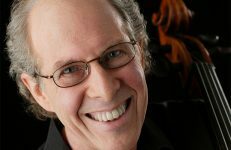 Ovation Press: When making transcriptions, what are some of the aspects you have to take into consideration, regarding the registers and balance of the two instruments? 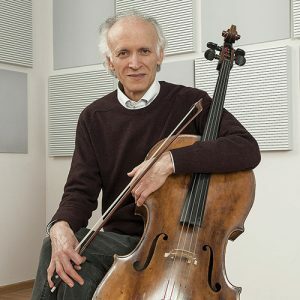 Valter Dešpalj: The balance is the most sensitive issue, due to different sound production of the two instruments. Preferably, their registers should be kept apart so that the guitar would not be overwhelmed by the bow. “Good news” is that cello can pizz and that two instruments have both, deeper and higher registers. That creates possibilities of a livelier interaction, giving the guitar a chance to take over the main material and to project better. This is something that rarely happens with standard duos of violin or flute with guitar where the guitar mostly accompanies. Naturally, good balance to a great degree depends on the performer. Cellist must keep in mind that it is the guitar that is the partner, and not a piano. On the other hand, guitarist should, whenever necessary, make an effort to produce a big sound without forcing. (This reminds me a little bit of the problem that cellist and pianist encounter when playing, for instance, the last movement of the Brahms E minor Sonata.) It takes some experience to come on terms with balance. A practical tip: whenever possible, a cellist should use a more mellow sounding instrument for recitals with guitar. It does help a lot. 4. Ovation Press: What criteria did you use for selecting the works that you transcribed? Valter Dešpalj: Selecting a work is another important issue. I would never consider a work that does not have the right character and adequate technical suitability for this duo combination. The “Arpeggione” Sonata is a perfect example of a work that virtually invites a transcription. The keys of A minor and E major are ideal for sonority of the guitar. The piano part is technically and musically very compatible with the nature of guitar. I felt that the version for my duo could even enhance intimate character of the music. So, with great enthusiasm, I spent many hours working on this Sonata. My job was to choose registers and to eliminate notes from the original piano part that were not essential and would only put a burden on the guitar. I also had to make a few modifications to improve the sound. 5. Ovation Press: How did you fare in other works? Valter Dešpalj: Very well. I particularly like to transcribe Boccherini Sonatas. I did so far three of them. Guitar is definitely a good medium for Boccherini’s style, and it is no wonder that he composed several quintets for guitar and string quartet. Working on these Sonatas was in fact something like realizing figured bass. In the original version the solo cello was accompanied by a second cello or double bass. The higher register was left blank, which opened for me a nice playground. The keys were friendly: A major and G major. I had freedom to fill the harmonies based on the bass part and to use different figurations and imitations that would make the guitar part more important. Of course, together with freedom goes responsibility, so I had to be careful not to get carried away. With the miniatures by Chopin, Leoncavallo, Offenbach, Gershwin and others, my work was rather simple because the roles of the two instruments were standard: the cello has the melody, and the guitar the typical accompanying patterns. However, in Gershwin’s Prelude No. 2 things went “upside down”: the pizzicato accompaniment went to the cello and the guitar took the lead. (A digression happened in the short middle section of the piece – there things went “back to normal”.) More substantial in the length and complexity were for example Mendelssohn’s Song without Words and Granados’ Intermezzo. These two pieces I sometimes played within the program and sometimes as encores. 6. Ovation Press: Can you tell us something about the duo you had with István Römer on the guitar? Valter Dešpalj: István was one of the best students in Darko Petrinjak’s class. He won two very prestigious competitions: Segovia (Palma de Mallorca) and Viña del Mar (Chile). Hi is really a “no nonsense” interpreter, has a flawless technique and a big, warm sound rarely heard on guitar. Collaborating with him compelled me to transcribe works which would suit a “duo sonata“ concept, such as Corelli’s XII Violin Sonata (La Follia), Mozart’s Piano Sonata, K.331 (with Rondo alla Turca) and Schubert’s Violin Sonata D384. We enjoyed taking turns in playing main material. Sharing variations in La follia and in the 1st movement of K.331 was especially suitable in this case. After gaining enough experience with Corelli and Mozart we made a CD issued by Croatia Records where those two works were featured. I am very pleased that Ovation Press plans to publish them, along with Boccherini Sonatas. 7. Ovation Press: Of all the guitar transcriptions you have done for Ovation Press are there some that are especially close to your heart, or that awaken special memories from performing them? Valter Dešpalj: Yes, there are. The Arpeggione Sonata, for instance. For me, playing it with guitarists was not only a great enjoyment but also a valuable experience. Hearing a subtle and delicate guitar accompaniment, which emphasized intimate character of the music, inspired me to explore and discover some more refined nuances on the cello, nuances that could better match the sound of the guitar and ensure a good balance between the two instruments. Another one was Granados’ Intermezzo from the opera Goyescas. I premiered my transcription with the famous American guitarist David Starobin at Bargemusic in New York. The setting and atmosphere was pure magic: the glass wall was on the back of the stage, so in twilight the audience saw the performers and the beautiful skyline of Manhattan at the same time. And I saw Jacqueline Onassis in the first raw, right in front of me. In my mind, I was dedicating my performance to her. 8. 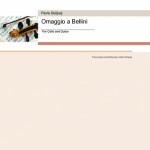 Ovation Press: Can you tell us about the Ommagio A Bellini composed by your brother Pavle Dešpalj? Valter Dešpalj: There is a small family story about this Ommagio. My father, who was a very versatile musician, had a passion to learn how to play different instruments. He was in his mid-60s when he decided it was time for him to learn how to play guitar. My brother Pavle, a composer and a violinist, heard him practice a simple etude by Ferdinando Carulli, a guitar virtuoso and contemporary of Vincenzo Bellini. That inspired Pavle to compose a melody for violin in style of Bellini, using Carulli’s etude as an accompaniment. Soon a violin and guitar duo was heard in our house. I embraced the melody and gave it a title – Omaggio a Bellini. I was 14 years old at the time. Many years after, I performed the Dvořák Concerto in Catania, the city where Bellini was born and where he is worshiped. I wanted to pay him a tribute, so I played the Omaggio as an encore, accompanied by the orchestra’s harpist. After the concert a gentlemen approached me, introducing himself as the music critic and a Bellini specialist. He exclaimed with excitement: “I know Bellini’s music thoroughly and don’t understand how could it happen that I never came across this beautiful aria by his! Where did you find it?” Hearing that, I laughed, realizing that the only word he heard me say while announcing my encore was – Bellini! great posts and I think I would be a good asset. site consists of amazing and truly good material in favor of visitors.